Maine’s only scheduled Line-Run service to Foxwoods Resort Casino Ledyard, Connecticut. Please utilize the online reservation system or phone in your reservation to 207-772-4457. The schedule varies each month. Click Book Now to see the available dates. The VIP Casino Express runs by reservation. Every now and then, we’ll be offering a special schedule to Foxwoods that departs later in the day, so you can attend events and concerts. You can find these special dates under the “Tours” section of our website. $20 Slot Play, $10 Food or Free Buffet. VIP Tour & Charter Bus Company takes reservations for the VIP Casino Express to Foxwoods Resort Casino. VIP reserves the right to cancel the line run on any date due to weather or lack of customer response. If you have reserved and paid for a ticket on a particular date, and VIP cancels, you will receive your money back or you may apply it to a different date. Otherwise, there are no refunds and no exchange dates with less than 48 hours’ notice. Such changes must be made during business hours with a VIP representative. Tickets are valid for same day only. Seats are not assigned. When requesting wheelchair accessible travel, contact VIP office at 207-772-4457 at least 48 hours in advance of your transportation date. If you are using a bus voucher from Foxwoods, please call VIP at 207-772-4457 and reserve the date in which you will use your voucher. Otherwise, you will not have a reservation and seating will be subject to availability. Bonus package is subject to change. How do I make a reservation to go to Foxwoods on the VIP Casino Express? 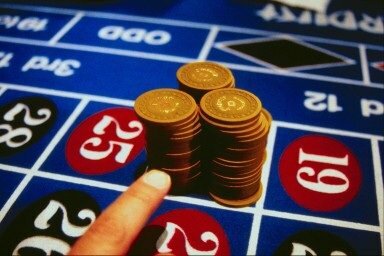 You can make reservations by visiting our “Casino Reservations” page and filling out the provided online reservation form. Also, if you already have a ticket or voucher, you may call 207-772-4457 and reserve with VIP’s office personnel. VIP requests that all customers make reservations, either online or by calling the main office at 207-772-4457. VIP reserves the right to cancel for lack of reservations. Therefore, the more who make reservations the more efficient and reliable the service. 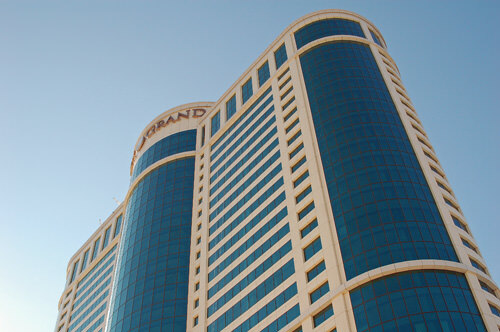 When do you travel to Foxwoods? 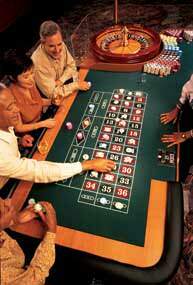 The VIP Casino Express travels to Foxwoods three to four times per month. The days are different every month. Please check the current schedule for available dates. Can I stay overnight and come back the next day with the same ticket? Tickets are valid for same day only. If you would like to stay the night at Foxwoods and return a different day, you must purchase another ticket/reservation. The VIP Casino Express rarely travels two days in a row. You may ride the VIP Casino Express regardless of your age. However, in order to receive a Bonus Package from Foxwoods, you must be 21 years of age. The legal age to gamble is 21. Can I leave my belongings on the coach? Yes. However, if you do so, you will not have access to these items until you re-board to return home at 5:15pm. The coach parks off-site and will not be available to you. Will I arrive in time for Bingo? Early Bird Bingo starts at 10:30am. We arrive by 11:00am. Therefore, you do not arrive for the start of Bingo. What are the directions to your pickup locations? Exit 7, off 295 (north or south). Take a left at the set of lights onto Marginal Way. Park and ride lot is on the left, directly across the street from World Gym. Park and Ride lot, off Maine Turnpike Exit 32 (formally exit 4), across the Street from Walmart. Exit 19 off Maine Turnpike, directly across from Toll Both.